I can't believe the day is finally here! I was so giddy last night that I only got two hours of sleep. 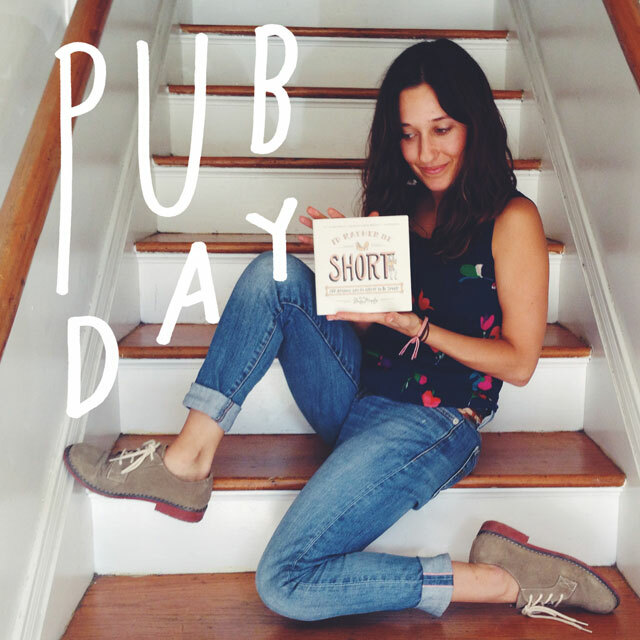 Today, my first book, I'd Rather Be Short is released and available where books are sold. It's been a year and a half of hard work. You can read about how and why I wrote it here. I had the best team for this project. My agent, Laurie, editor, Kate and publicist, Milena (as well as the rest of the Plume / Penguin staff). My friend Chad played a HUGE role too. I also had heaps of support from you, my family, friends and blog readers. Thank you. Want to win a copy? Leave a comment telling me your height and why you're proud of it (regardless of how tall or short). Must be in by tomorrow night at 7 PM. Winner will be chosen by random and sent a book from Plume. Make sure to leave your email address, as I want to make sure to get in touch with you. Lastly, book signing! Please please please come to BookPeople tonight at 7 PM then the after party at the Tiniest Bar In Texas. I'd love to meet you there. What a day to celebrate!